Grab your tickets NOW to this super exciting outdoor concert overlooking the Columbia River! When “Sugar Ray’s” breakthrough hit song “Fly” put them on the map in 1997, lead vocalist Mark McGrath was thrust into the public eye. It’s no doubt the band maintains its momentum due in no small part to the good looks, charisma and talent of its front man, Mark McGrath.McGrath first appeared with Sugar Ray (then known as the Shrinky Dinx) when he jumped on stage and grabbed the microphone. 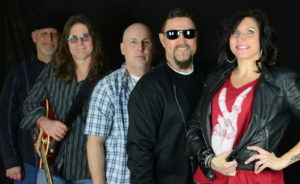 Two years later, in 1994, the band changed its name and landed a deal with Atlantic Records. Shortly after, in 1997, the band’s collaboration with reggae artist Super Cat resulted in the song “Fly,” which dominated the airwaves. Later that year, and following the success of their number-one hit, Sugar Ray released its second album, “Floored,” which went double-platinum. 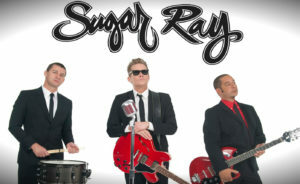 Sugar Ray’s success rocketed McGrath to pop-star status, as he graced the covers of “Rolling Stone” and “Spin.” He even made People magazine’s “Sexiest Man Alive” issue, named “Sexiest Rocker” in 1998. After “Floored,” Sugar Ray released “14:59,” in reference to its fading “15 minutes of fame.” Ironically, the CD wound up outselling its predecessor, going triple-platinum with hit singles “Every Morning,” “Someday” and “Falls Apart.” Their success continued with the release of the self-titled album, “Sugar Ray,” which garnered the band it’s first-ever top-10 album. McGrath has hosted VH1’s “I Love the 80’s” and “The Greatest: 100 Most Shocking Moments in Rock and Roll,” and the primetime specials “The World Music Awards” and “Victoria’s Secret Fashion Show”, as well as Extra, Don’t Forget the Lyrics and Killer Karaoke on the Tru Network. He also appeared with Sugar Ray in the 2002 feature film “Scooby-Doo.” And has gone on to co-star in last summers Si-Fy thriller Sharknado 2. The single “When It’s Over” reached #2 on Adult Top 40, #7 on Top 40 Mainstream, #6 on Top 40 Tracks, #3 on Top 40 Adult Recurrence.